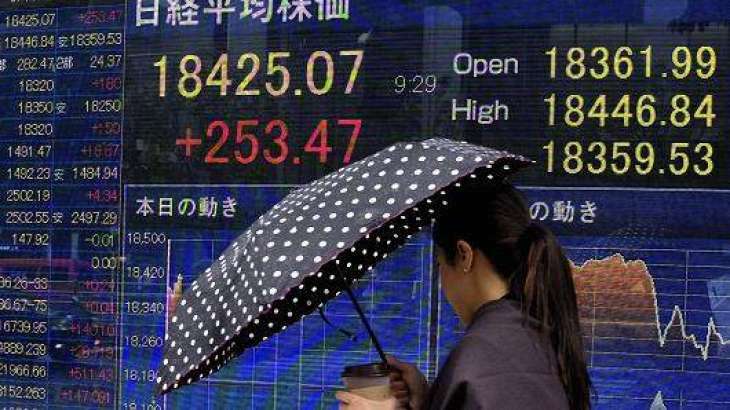 Tokyo stocks opened higher on Monday, buoyed by investor relief over continued gains on Wall Street last week. The benchmark Nikkei 225 index rose 0.72 percent or 155.32 points to 21,875.57 in early trade while the broader Topix index was up 0.82 percent or 14.28 points at 1,751.65. "Japanese stocks this week will likely test a rebound" from sharp drops earlier in the month, Okasan Online Securities said in a note. "Given falling volatility both in Japan and in the United States, we can expect a calm market," it said. In New York on Friday, the Dow finished narrowly positive, up 0.1 percent to 25.219,38, before a long weekend. Despite the muted finale, the week was the sixth straight positive close for the blue-chip index as it notched its best weekly gain since November 2016. The yen's rise has come to a lull, with the dollar trading at 106.27 yen against 106.25 yen in New York on Friday. Toyota gained 1.31 percent to 7,303 yen and Nintendo was up 0.98 percent to 46,290 yen. Banks were also higher, with Mizuho up 1.41 percent at 201.2 yen and Mitsubishi UFJ up 1.44 percent at 787.7 yen. SoftBank Group climbed 1.57 percent to 8,945 yen after The Financial Times reported the Japanese telecom and investment group was seeking to join Swiss Re's board as it is in talks with the reinsurance giant to acquire a minority stake.